Photography lovers know the name of Richard Avedon as an innovative photographer who was endowed with great talent, the founder of a new genre of photography. 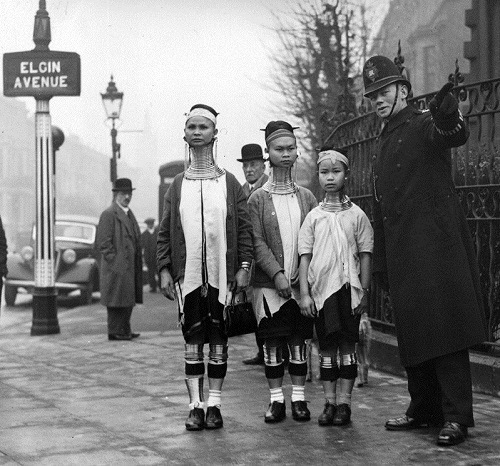 He was able to feel his model and frame very subtly. His portrait is not just a picture printed on a sheet of paper, it is the world inside of man. Richard Avedon discovered black-and-white photographs, he was able to accurately convey the feelings, emotions, character and inner beauty with just two colors. Truly magical sensuality and sincerity of his portraits is fascinating and attracts the eye, photographed by him people in the portraits look even more realistic than sometimes in life. 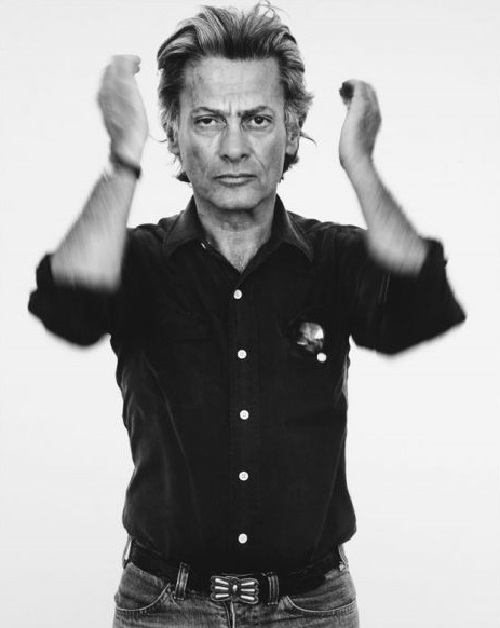 The work of Richard Avedon is indisputable classics and top photography craftsmanship. Russian bead-work artist and jeweler Olga Orlova was born and lives in St. Petersburg. 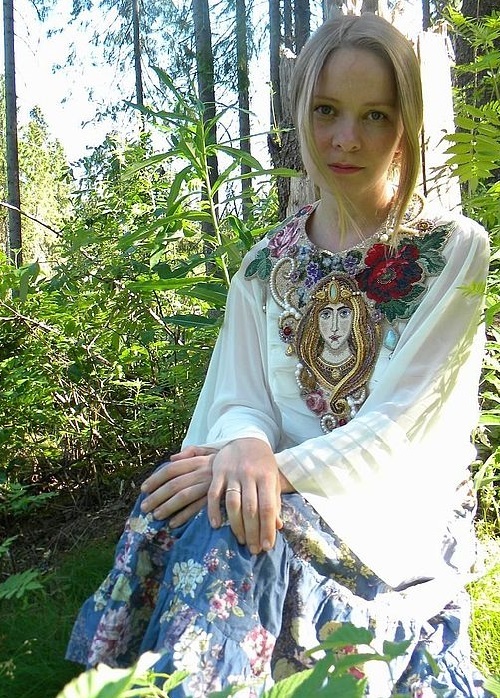 The beautiful young craftswoman Olga Orlova possesses ancient techniques of embroidery – silk embroidery, gold-work embroidery, pearl sewing, and etc. Her embroidery is a complex artwork of high-level, and not necessarily on ancient motifs. The usual time she needs for creating one piece of artful bead-work is approximately two months. Creating any decoration the artist usually uses various materials, for instance, for this beautiful necklace “Queen Of The Garden” (in the above photo) she used: boulder opals, larimars, Swarovski crystal, pearls. In addition to jewelry, Olga Orlova makes elegant handbags, purses, dolls, icons. 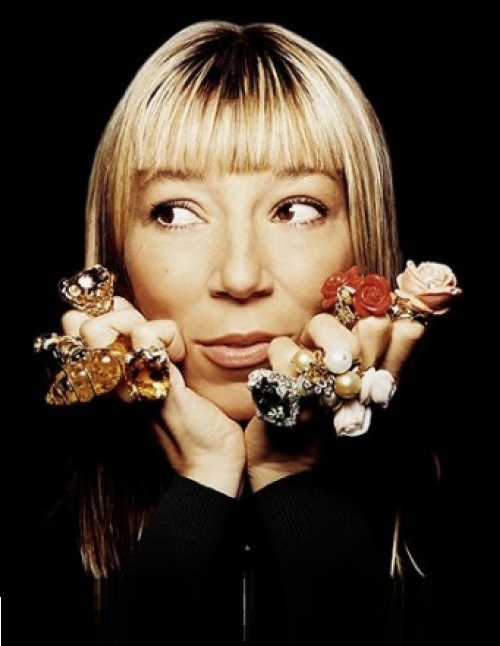 French jewellery designer Victoire de Castellane was born into an aristocratic Parisian family. In the rich history of the family – reigning princes, bishops, generals and noblemen of ten centuries. Victoire de Castellane has been interested in making jewelry since childhood. At the age of 12, she created her first jewelry piece – a ring. For making it, she melted down her religious medals. Her uncle, Gilles Dufour, worked alongside with Karl Lagerfeld. With a passion for jewelry art in her genes and being led by noble roots, Victoire de Castellane started her career with Karl Lagerfeld at Chanel. Currently the talented and beautiful jewelry designer Victoire de Castellane lives in Paris and works as a creative director of Christian Dior’s fine jewelry division. Her beautiful works have been exhibited as a personal show in art galleries, such as Fleur d’exces and Gagosian Gallery. Victoire de Castellane launched Dior’s Haute Joaillerie department on January 1, 1998. Italian actor Raoul Bova is one of the world most handsome men ever. Raoul Bova was born on August 14th 1971, in Rome, Italy. His attractive appearance, figure, beautiful green and grey mesmerizing eyes, made him a dream man for lots of women. Raoul Bova, in addition to his appearance, has showed many personal talents in different areas – acting, directing, producing, screen writing, and social work. The list of his films is long, due to his more than twenty years of successful career in the cinema industry, beginning with 1992 film Mutande pazze. As an actor, he showed his talents in many different roles, from action to drama and comedy. During his acting career Raoul Bova has worked with some of most influential names in the international film industry – Sophia Loren, Sylvester Stallone in “Avenging Angelo”(2001), Johnny Depp, Angelina Joley (The Tourist, 2010). The introvert by nature, Raoul Bova is shy, rational and analytical. He enjoys collecting different art objects, for example wood-carved ethnic sculptures and candles, and there are lots of them in his home.